EDAS, Inc announced today that it had been awarded a major contract from the United States Air Force for a comprehensive vibration data acquisition, real time monitoring and analysis system for use at the Compressor Research Facility at Wright Patterson Air Force Base in Ohio. The new system replaces obsolete equipment and greatly enhances performance and functionality for testing the Air Forces’ next generation propulsion technology. EDAS was selected as prime contractor for the effort. 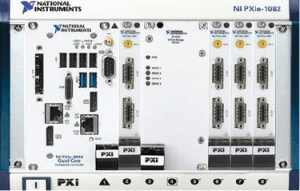 The project is the first major collaboration between EDAS and National Instruments who was selected as the data acquisition hardware supplier. EDAS and NI began working together earlier this year after several customers expressed interest in a more integrated approach to purchasing data acquisition.